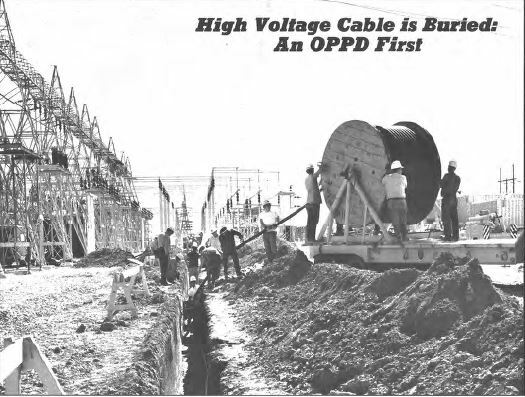 In October 1971, OPPD’s Underground department installed the first-ever buried high-voltage cable. The cable, which served two circuits, was installed at a substation in Sarpy County near the Sarpy County Peaking Station. Crews buried more than 6,000 feet of cable in a trench connecting OPPD’s two new gas turbine peaking units and the 69-kv substation. The project was part of larger construction related to the peaking units, which were scheduled to go online in early 1972. 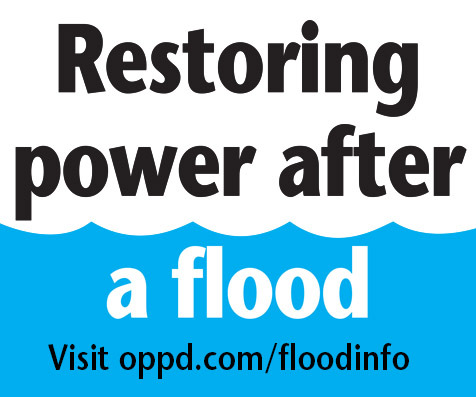 The units would provide additional load during summer peaks and emergencies.